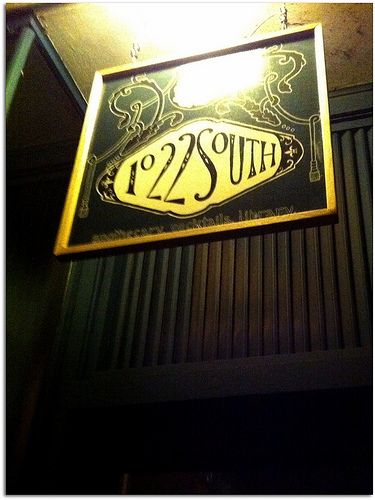 I’ve been wanting to go to 1022 South in the Hilltop neighborhood of Tacoma for ages and today was the day. They have happy hour from 4 to 8 everyday and their prices were very reasonable for the quality. I treated myself to a hot mulled cider with brandy and it was very wonderful. We also had some small plates that were delicious. We made an agreement to go back soon because they had many other delicious looking drinks and it is a great place to unwind after a long work week. My one small complaint was it was such a small space and pretty much packed. This entry was posted in Over 21, Restaurants, Tacoma, WA State - Pierce County and tagged 1022, bar, cider, drinks, happy hour, Hilltop, south, Tacoma on January 27, 2012 by admin.